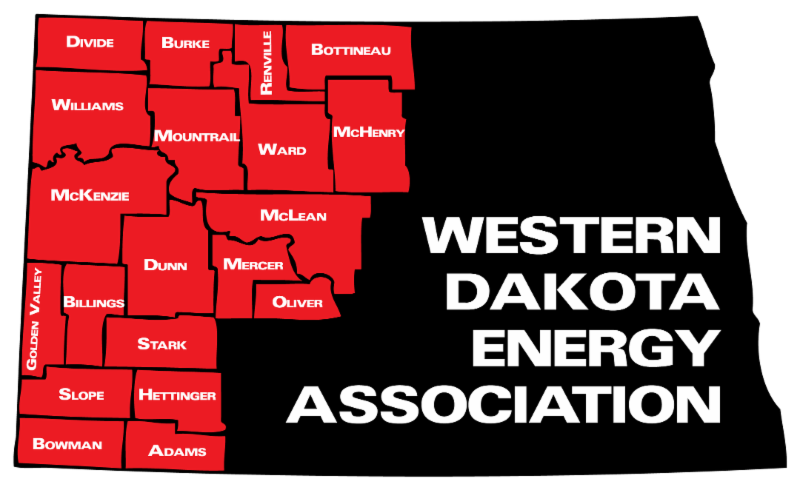 Here are the week's top North Dakota energy stories -- and have a great holiday weekend! Industrial water sales associated with hydraulic fracturing operations totaled 33,197 acre feet of water in 2017, or nearly 11 billion gallons, according to figures from the State Water Commission. While the number sounds huge, the same amount of water can be dumped by a single hefty thunderstorm – 33,197 acre feet is equivalent to spreading an inch of water over a 622-square mile area. Industrial use accounted for just six percent of total water consumption in North Dakota last year, compared to 58 percent used for irrigation. The frac water usage statistic was part of a presentation delivered by Jon Patch, Director of the Water Appropriations Division, to the ND Legislature’s interim Water Topics Committee at a meeting on June 13. Patch said there are currently 226 active water depots in western North Dakota, most of which supply water to the oil and gas industry. He said 57 percent of the depots draw water from the Missouri River or Lake Sakakawea, 18 percent use groundwater and 25 percent get water from another surface formation. Patch noted that the average amount of water used per frac is now about 25 acre feet, double what it was in 2014. He said there’s a lot of money involved in the business, with water typically selling for one to two cents a gallon, or 42 to 85 cents per barrel. He said the temptation of money has led to some criminal activity. Patch said the Water Commission has collected $2.3 million in fines since 2011, for either illegal water use or overuse of a water permit. Click here to view or download Patch’s slide presentation. A large storm system swept across western North Dakota Thursday night (June 28) and dumped up to 8.5 inches of rain in Dunn County between Halliday and Twin Buttes. Dunn County Disaster Emergency Manager Denise Brew said rainfall totals ranged from four and a half inches to over eight inches, with the greatest amount closest to Twin Buttes. Across the county line in Mercer County, rainfall totals were closer to one inch to one and a half inches. Brew said the heavy rain washed out at least one culvert on a gravel road northeast of Halliday. Wind speeds in the regionn were meassured between 66 and 82 miles an hour. Dunn County Commissioner Daryl Dukart said marble to golfball size hail fell at his ranch near Dunn Center, but the greatest damage came from the wind -- mostly tree damage. The Missouri River at Williston remains above flood stage, but has started to fall after climbing to major flood stage earlier this week. The river at Williston crept above the 26-foot mark on Monday, but is expected to fall below 25 feet by the Fourth of July. 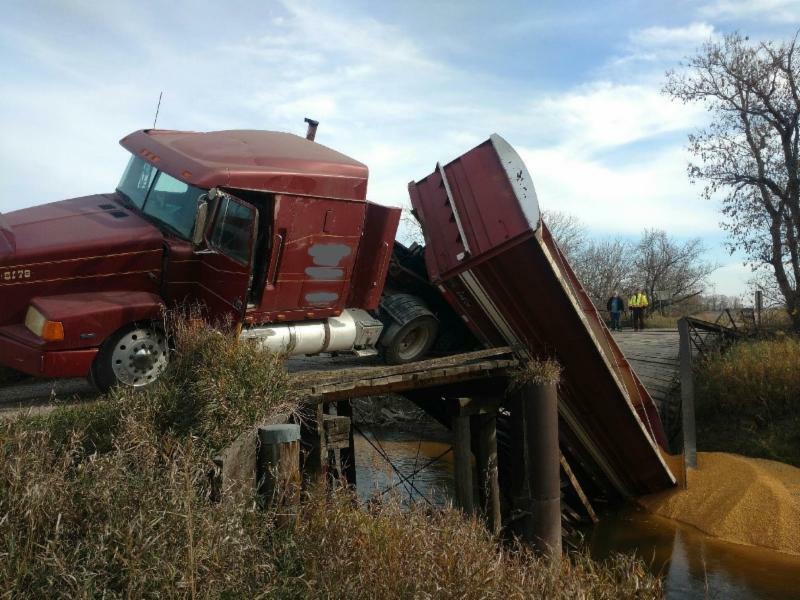 The high water levels have affected access to some oil well locations near Williston. The levels of Ft. Peck Reservoir and Lake Sakakawea, meanwhile, are expected to continue to rise slightly the next two weeks, before beginning to fall in mid-July. Releases from Garrison Dam are forecast to continue at 60,000 cubic feet per second (cfs) at least through July 19, according to the Corps of Engineer’s three-week forecast. Both reservoirs are in their Exclusive Flood Control zones, meaning they are near their maximum storage capacity. Further downstream, Lake Oahe is expected to rise three-plus feet in July, with inflows currently exceeding releases by more than 30,000 cfs. Meltwater from mountain snowpack continues to pour into the river system from tributaries. Flow rates in the Yellowstone River at Sidney, MT remain above 50,000 cubic feet per second, but are down from earlier flows of more than 70,000 cfs, which were further swollen by heavy rains in Montana. 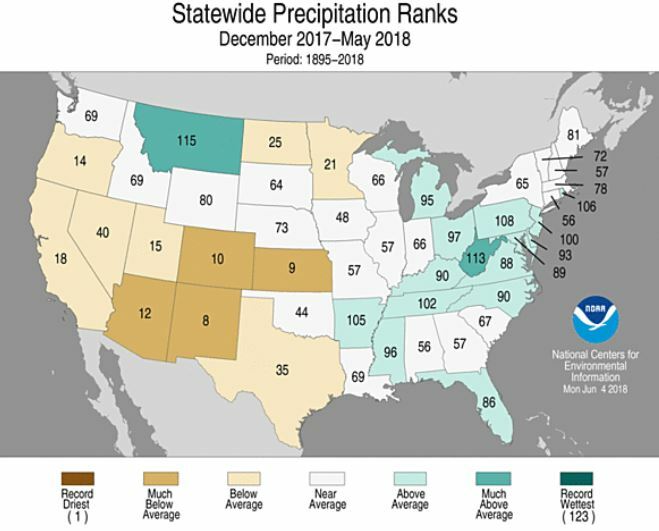 As the map demonstrates, the state experienced one of its wettest winter/spring periods in recorded history. 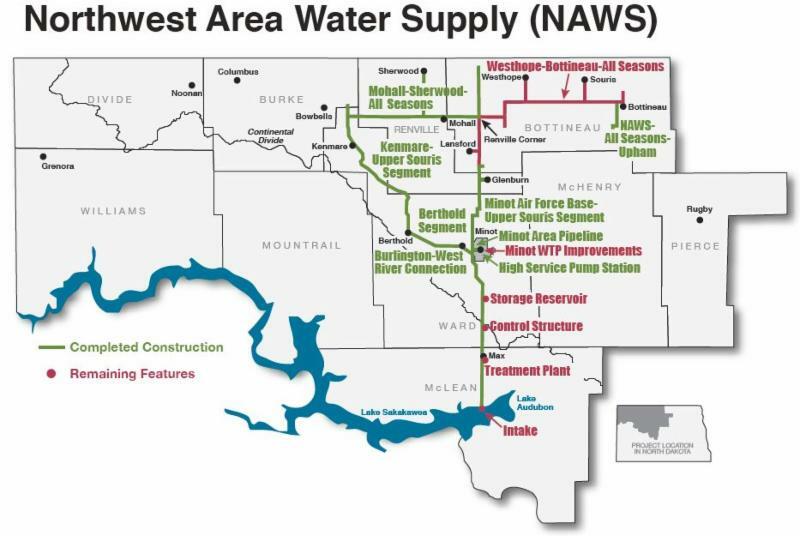 The government of Manitoba this week dropped its legal action against the Northwest Area Water Supply (NAWS) project after reaching an agreement to be part of the project’s water quality management team. Manitoba sued to block the project in 2002 over concerns about the possible transfer of harmful bacteria or invasive species from the Missouri River watershed to the Hudson Bay Basin. The deal reached this week between Manitoba and the U.S. Bureau of Reclamation allows Canadians to be part of the team that oversees treatment and monitoring of the river water. 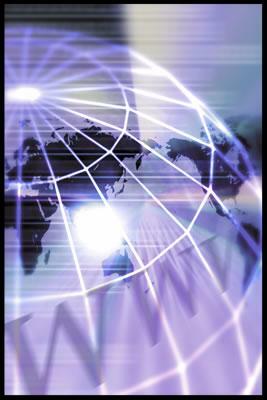 NAWS was first authorized in 1986, and parts of the system have been built. It contains more than 225 miles of pipeline and other infrastructure. The system currently serves about 25,000 people and gets its supply coming from Minot’s water treatment plant, not the Missouri River. Eventually, the expanded system could serve as many as 82,000 people in northwestern North Dakota. NAWS still has one more legal hurdle to clear. The state of Missouri sued over fears that NAWS would deplete the Missouri River water it needs for residents and industry. A federal judge ruled against Missouri, but the state has appealed the decision. 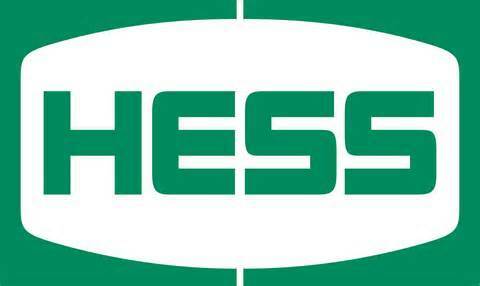 Hess Giving BSC Students "Job Experience Training"
In a modern day version of on-the-job training, Hess Corporation has partnered with Bismarck State College to give students real world experience in their pursuit of a career in the energy industry. The JET Program - Job Experience Training - introduces students to the profession and facilitates the transfer of knowledge and skills between skilled employees and the individual. Hess JET Trainer Mitchell Woiwode said it provides students a jump start on their career. Click here to listen to Woiwode's comments. Woiwode said JET is actually an apprenticeship program, so students earn money while working toward their degree. Woidwode said Hess is looking into the possibility of getting the apprenticeship program certified through the Department of Labor. He said every student who has completed the program with Hess is still working for the company today. 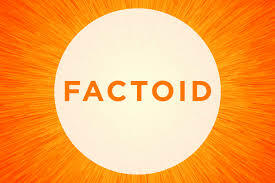 Woiwode made his comments during an interview on the radio program Energy Matters. Click here and advance to the 43:30 mark to listen to the full interview. Click here for additional details about the JET Program. The person who’s been a leader in the effort to address workforce needs of the energy industry is about to take on a new challenge. 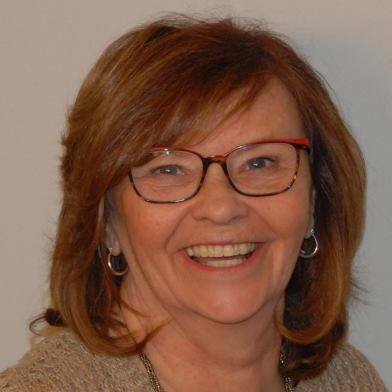 Cindy Sanford, manager of the regional Job Service office in Williston, has accepted a position with the Bank of North Dakota in which she’ll work to match young people with an education plan and a career path that corresponds to the needs of North Dakota employers. Sanford started with Job Service in Williston just as the boom was taking off, so will bring a wide range of experience to her new job. Watford City is gearing up for The Bakken Conference & Expo at the city's Rough Rider Center, July 16-18. McKenzie County Economic Development Coordinator Daniel Stenberg said, "It is exciting that our community has the Rough Rider Center and 800+ hotel rooms to host an event like this. Hundreds are expected to attend." The keynote speaker is Jason Swaren, Vice President Operations, Oasis Petroleum. Following his presentation, conference presenters will focus on "The Bakken Pipeline Quest: How Researchers, E&Ps And Midstreams Players Are Finding, Testing and Deploying New Tools For Leaks And Detection"
The pre-conference seminar on Monday is "The Bakken In the Global Gas Marketplace." Following the seminar is a free BBQ served by Watford City's FFA Chapter. Stenberg said, "Feel free to share this info with folks who might be interested in attending. We are really hoping this is an excellent event that will show that our community can continue to hosts events of this caliber in the future." 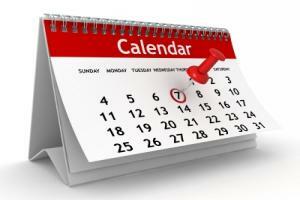 The Bakken Conference and Expo agenda is here. 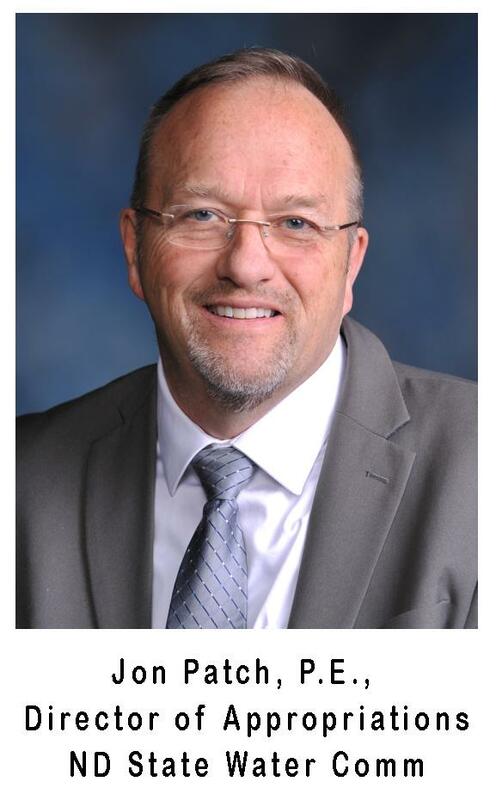 NDDOT Director Tom Sorel and FHWA Division Administrator Wendall Meyer will submit a $25 million Build grant to help fund local county and township bridge projects. The NDDOT put together a powerful group from the Planning, Local Government, and Bridge divisions along with UGPTI assistance to prepare the grant. The Bridge Division team prepared lists of bridges on the local network that fit the grant request criteria. The grant submittal will include load testing and accelerated bridge replacements. The grant is to be submitted July 18, with notification to be received near the end of the year. The North Dakota Department of Transportation (NDDOT) is teaming up with local communities to plan, design and install temporary Active Transportation Demonstration Projects this summer. These temporary demonstration projects, or “pop-up” projects are a community approach at building short-term projects to help determine the public’s desired types of long-term changes for safer streets and healthier, more vibrant communities. Input from the public in each community is encouraged and is a large part of each projects’ success and possible permanent installation. Law enforcement agencies across the state will have extra patrols looking for seat belt violationis from July 1 to August 12. The NDDOT is promoting the enforcement. It says the most effective way to protect yourself against serious injury or death when traveling in a vehicle is to wear a seatbelt. In 2017, every 7 days one unbelted vehicle occupant died in a motor vehicle crash in North Dakota. 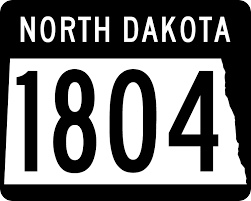 This week, load restrictions were lifted on North Dakota Highway 1804 from mile marker 304 to mile marker 312 in northwest North Dakota. Drivers are encouraged to check current load restrictions to determine which load restrictions implemented at an earlier date remain in effect. Statewide seasonal load restriction information is available by calling 511 or online. July 1936 was the hottest month in North Dakota history. The City of Dickinson experienced 15 days of 100°F-plus temperatures, and 11 other days were over 90°F. The temperature in Dicktopped out at 112°F on July 6, the same day the city of Steele set the state's all-time high at 121°F.